Servicing Montreal and the surrounding areas, our team of skilled professionals can fulfill all your landscape construction, French drains & FoundationWaterproofing and excavation requirements. Residential Commercial or Industrial, No project is too large or small. 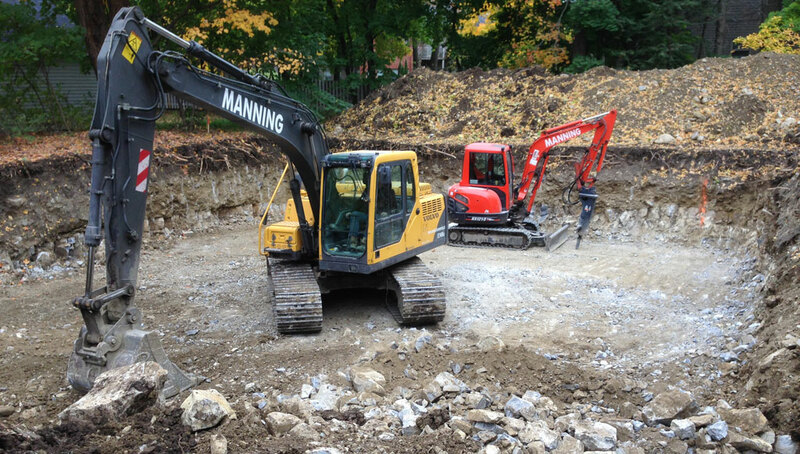 MANNING Construction and Excavation Baie D’urfe Inc. have the experience, the equipment and the competitive pricing to complete your project to the highest standards , on time and on budget. For over 35 years Brian Manning and his dedicated team have built a solid reputation that customers have come to respect and rely on.